Scouting in South East England is about Scouting in the official region of South East England. The largest membership is represented by the Scout Association of the United Kingdom, while there is also a presence of traditional Scouting groups, such as the Baden-Powell Scouts' Association. The Scout Association administers the region into 9 Scout Counties. There are also three student associations at various universities in the region, each of which is affiliated to the Student Scout and Guide Organisation. These are centred at Oxford University (Oxford University Scout and Guide Group - the oldest such organisation in the United Kingdom), the University of Reading, and the University of Southampton. Royal Berkshire is a Scout County concurrent with the ceremonial county of Berkshire, and provides Scouting opportunities for 7,500 young people and adults in the area. The County includes the towns of Newbury, Reading, Slough and Windsor, and their immediate environs. The district map has been redrawn several time through the county's history, with the latest change at the end of 2005 to merge the district of East Reading into its two neighbours, Reading Central and Loddon. Some aspects of Scouting are run cross-District, for example, Pang Valley and Reading Central have been running a shared Young Leader programme since late 2005, and the Explorer Scout Units have been running joint activities and events, too. The 1st Reading (YMCA) Sea Scout Group is one of the founding troops of 1908. WINGS is a major event which is open to all Scouts and Guides aged 10 to 25 in all parts of the world, and is normally held every 5 years in the County. It is a collaboration with Royal Berkshire Scouts and Girlguiding Royal Berkshire. Participants camp in Windsor Great Park, where many of the activities also take place. Other nearby sites are also made use of, such as Dorneywood Scout Camp and Wraysbury Lake. The most recent event took place in August 2009 and provided an international experience with seven days of adventure, challenge and fun with opportunities to work with others from across the world and build new and lasting friendships. This was a year later than normal due to the World Scout Jamboree taking place in 2007. The County has a tradition of International Expeditions, where Scouting members from the age of 14 are able to experience and participate in activities outside of the UK. There was a hiatus in these large-scale expeditions prior to 2004, mainly due to low interest from Scouting members. Interest has since grown considerably. There was no expedition in 2007, because of the World Scout and Guide Jamboree. Organised by Reading Central District Scouts in Royal Berkshire, the Three Towers Hike is a competition hike held around Easter following routes through West Berkshire and South Oxfordshire. Walking is primarily along the the Ridgeway, although it does not take in the full distance. The event takes its name from the three water towers passed on the main route. There are three classes to allow participation of Scouts, Explorers and Adult walkers. Participation is not limited to members of the Scouting Association. Buckinghamshire Scout County is concurrent with the political county of Buckinghamshire. 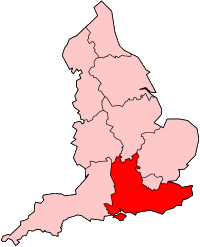 The County includes the towns of Aylesbury, Buckingham, High Wycombe, Marlow, and Milton Keynes. 1st Ewhurst Scout Troop held their inaugural meeting on the lawn of Robert and Olave Baden-Powell's home, Ewhurst Place, on 1913-06-21. Olave was the Troop's Scoutmaster and the assistant Scoutmaster were Annie Court, housemaid to the Baden-Powells, and home's gardener. At the opening meeting, they used the Union flag that had flown over Mafeking during the siege of 1889-90. Hampshire Scout Country is the largest in the United Kingdom, and consists of 27 Scout Districts. The 1st Lymington appears to the first Scout Troop in Hampshire in 1908. The 1st Eastleigh, 7th Bassett and 14th Highfield were formed in 1909. The Chief Scout, Robert Baden Powell toured Hampshire Scout troops in 1910. At that time there were 2,965 members in 104 troops in 22 Local Associations. The Grand Rally at Southampton Common on 2 October 1912, attended by Baden Powell, was recorded on film now available in the Hampshire Archives. The Loose + Swiss Scout Group in the Maidstone South District was started in 1908 by Jack Barcham Green a local Maistone business man. Kent Scout county has over 16,000 members with an active Water Activities and Land Activities team. The Land Activities includes the Invicta Mountaineering Club. Other county level teams include the Hullabaloo Roadshow. Every four years, Kent organises an international jamboree bringing scouts from all over the world to a location in the ocunty. The most recent was the gathering at The Shaws Guide campsite in Cudham, near Sevenoaks. 2,500 members of the scout association camped together for a week during the 2009 jamboree. The next will be in 2013. Buckmore Park Scout Centre is a camping and activity centre located to the south of Chatham in Kent. The site is run by the Medway Towns District Scout Council. Buckmore Park underwent significant development after the adjacent M2 motorway was widened in 1995, as a number of buildings were demolished and replaced with newer facilities. On-site facilities included a swimming pool, a conference centre, an air rifle range, archery butts, a sports hall, a café, accommodation, a climbing tower, a caving network, and an assault course. However, despite the new facilities, the site entered into administration in 2003-04, and closed in 2005-06. The site (excluding buildings) reopened in 2007. Scouting and Guiding groups of all ages are able to undertake a wide range of activities from camping and air rifle shooting, to caving and orienteering. Also located on the site is the Buckmore Park Kart Circuit, although this is a separate business to the Scout Centre. The Buckmore Park sports complex on the site closed in April 2003 and went into administration in 2008. A buyer is being sought for the 260-acre site. The Scout Association said the local scouts had an existing lease on the site and would work with the new owners to secure a future for young people at the park. Longridge Scout Boating Centre is a water activity centre and campsite on the River Thames near Marlow in Buckinghamshire. It was once owned by the Scout Association but it is now an independent Charity. The centre provides water activities such as Bell Boating, Dragon boat, Canoeing, Rowing, Sailing, Kayaking and Powerboating. It also offers land based activities including Climbing, Team Challenge Zones and Disc golf. With a very good safety record, Longridge is recognised amongst activity centres as being a leading training centre for young people and their leaders. It as an approved British Canoe Union centre and RYA (Royal Yacht Association) training centre. Each year the team at Longridge run a large number of courses ranging from basic beginner skills right through to advanced coaching and instruction. Activities at Longridge are primarily aimed at young people, however when young people are not using the site, it is open to families and adult users. The Fire Service and Women's Olympic Rowing Team both train at the site. In addition they encourage local businesses to use the site for team development days. Youlbury Scout Activity Centre is one of the four Scout Activity Centres operated by The Scout Association across the United Kingdom, and is located to the west of Oxford. Youlbury is the oldest permanent Scout campsite in the United Kingdom, and acted as the National Headquarters when Gilwell Park was commandeered by the British Army during World War II. There are three campsites within the County. Earleywood is the largest facility, while the other two (Paddicks Patch, based in Loddon District and just outside of the town of Woodley, and the 1st Burghfield & Sulhampstead Scout HQ, in the town of Burghfield and part of Pang Valley District) offer a single pitch with a fire-circle and a nearby hut. All three campsites are available to all members of the Scout Association for activities. The Quarries is owned and operated jointly by the two Milton Keynes District Scout Councils. It is located near the village of Cosgrove on the northern edge of Milton Keynes. As well as a range of camping sites and indoor accommodation there is an indoor air rifle range, outdoor archery range and scoutcraft activities. 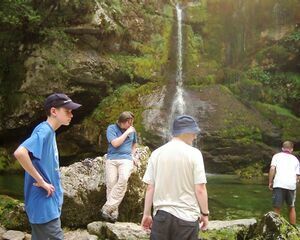 In addition to Scouting activities, the Quarries also hosts many Girl Guiding camps and school parties during Duke of Edinburgh Award expeditions. Ferny Crofts, in the New Forest near Lyndhurst, is owned by the county. It provides camping facilities plus indoor accommodation and activities including climbing, shooting, archery and a zip wire. In 2009 Ferny Crofts became a National Scout Activity Centre. 2007 Centenary celebrations were held at Walton Firs, with Carl XVI Gustaf of Sweden visiting during the camp. The South East Berkshire Scout District started in 1970. It grew larger and moved to Camberley Civic Hall where it stayed until moving to the Wilde Theatre, South Hill Park, Bracknell. A show is produced every year in February. The Gang consists of around 180 people. The Winchester Gang Show was started in 1955. Maidstone Gang Show was started in 1939. It has been staged almost every two years since 1970. The Worthing Gang Show first ran for four nights in October 1967, and was awarded the Red Scarf in 1971. It was staged every two years up until 2001, with the following shows in 2004, 2007 and 2009. The Brighton Gang Show began in 1959, and ran for 30 shows until 1996. Between 1959 and 1991 the show was staged at the Brighton Dome. ↑ "Scout Activity Centres". The Scout Association. http://www.scouts.org.uk/nationalcentres/. Retrieved 2007-08-18. This page was last edited on 6 May 2012, at 19:41.